Donna is an extremely hard working, reliable and enthusiastic full time San Luis Obispo County Real Estate agent, working 7 days a week. With over 10 years experience in the Real Estate Business and a strong background in Real Estate lending from the Silicon Valley, her specialties include Residential, Land, Investment, and Relocation Real Estate sales in San Luis Obispo County. Donna creates and retains relationships with customers based on integrity, reliability, flexibility, possibility, and outstanding service. She is absolutely committed to the ethical process. 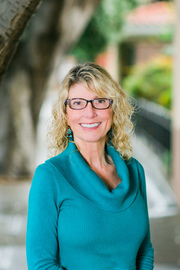 When it comes to negotiating your real estate deal in San Luis Obispo County, you will want Donna on your side. She provides the highest level of negotiation and communication skills to better her client’s position. One of the most efficient ways that Donna works with her clients is through her San Luis Obispo County Real Estate website, www.sloproperty.com. The information is updated daily with those properties that are active on the market in San Luis Obispo County. She will also take additional pictures of requested San Luis Obispo County properties and post them on the website. This is especially beneficial to buyers living outside of San Luis Obispo County. Donna enjoys contributing a positive experience to her client’s lives. Give her a call at (805) 801-4427 or send email to dwithey@sloproperty.com for all of your San Luis Obispo County Real Estate needs.